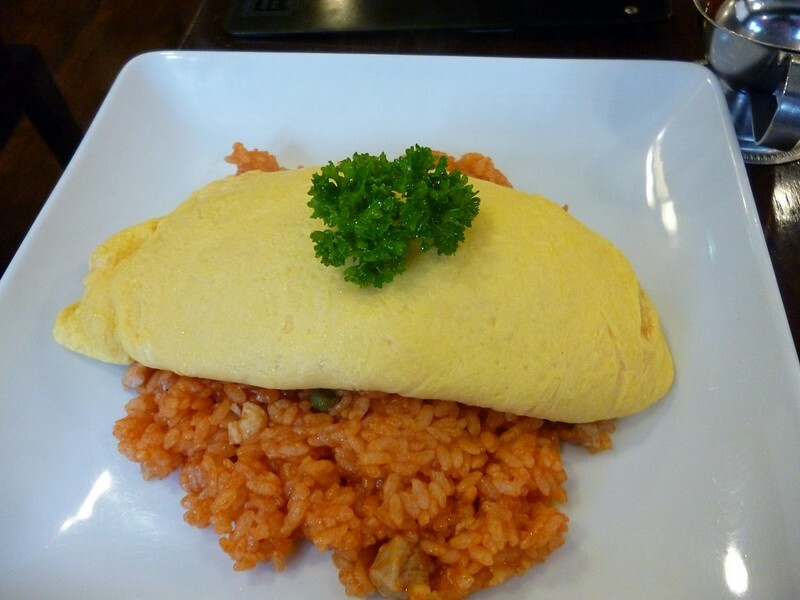 One of my favorite yoshoku (Japanese-style western food) dish is omurice. 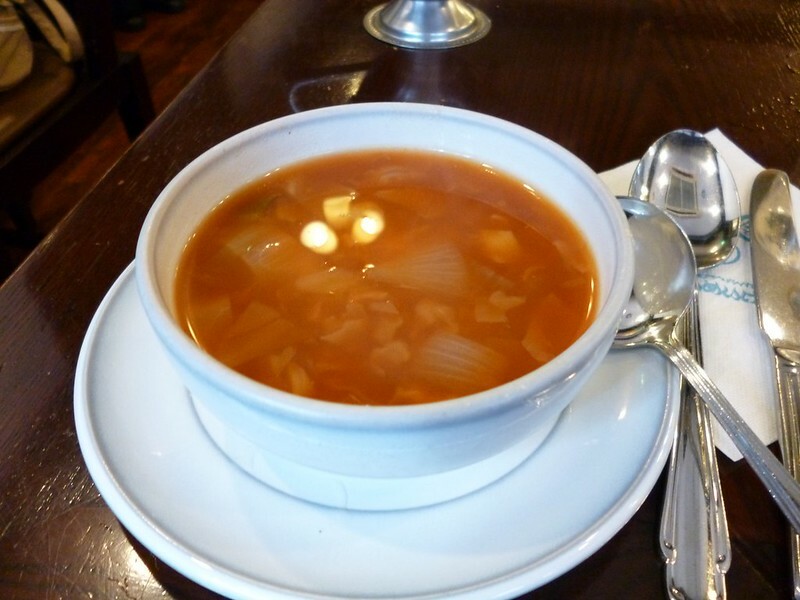 It’s a rather strange dish with an equally strange name. Omu + rice = omelet + rice. 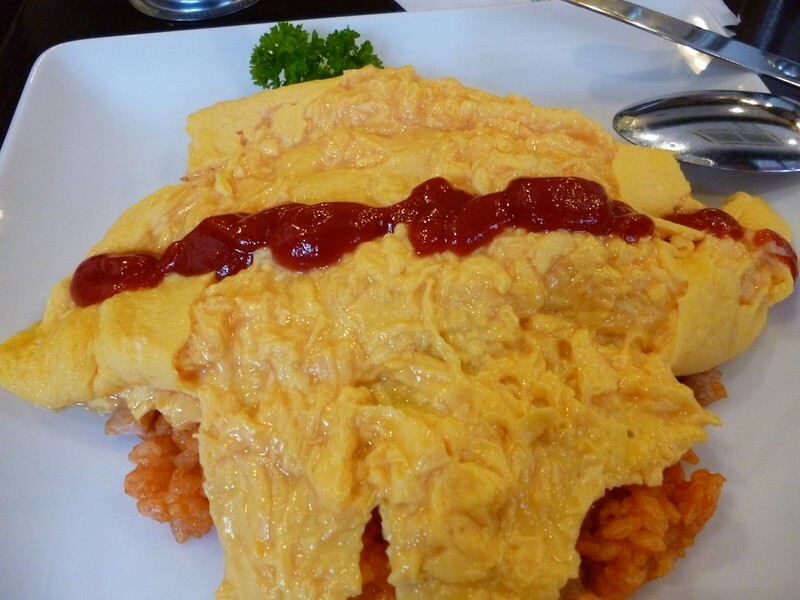 An omelet covers a serving of fried rice like a snug blanket and garnished with a dash of ketchup. Good omurice has a tangy taste. Bad omurice is just fried rice topped with a lazy omelette. I’ve wanted to try Taimeikan’s omurice ever since I read about the Tampopo Omurice on food blog Just Bento. Maki’s photo of a runny omelet on top of rice makes me hungry every time I look at it. I had the chance to pop into Taimeiken for lunch during my last day in Tokyo. Even though my stomach was still full from my buffet breakfast, I knew that I needed to try the dish or I would fly back with regret. 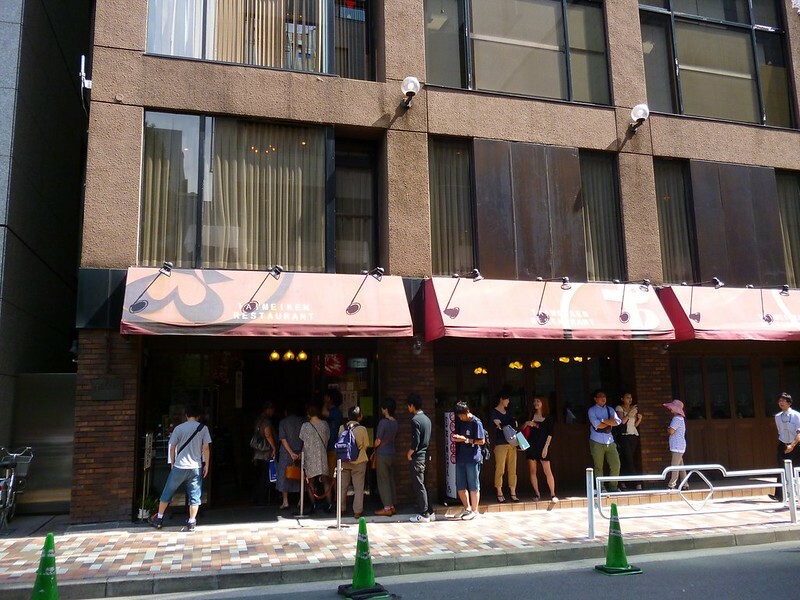 The restaurant was a bit difficult to find because I couldn’t find the Exit C5 at Nihombashi station. When I did find the exit, I was confused by the street level buildings as the Taimeiken sign was not there that day. I eventually figured out the place. I was reached the doors slightly before 1 p.m. and it was strange that the queue was not as long as I expected. Little did I know the queue would snake out when I left the restaurant. 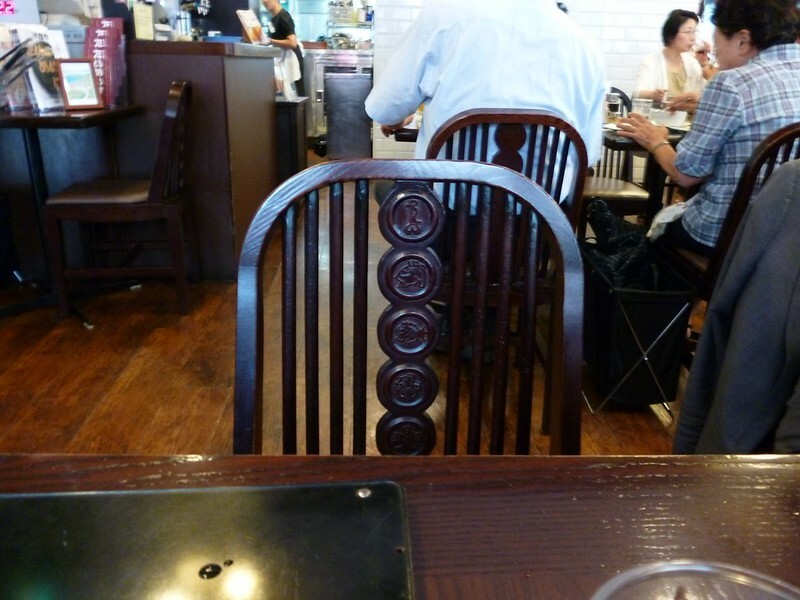 I was soon seated in the crowded restaurant. The place was smaller than I imagined. My elbow was almost touching the lady at the next table’s. Even though there was a 800 yen lunch set, I ordered the omurice. I was informed that my order was for a normal omurice so I changed it to the famous Tampopo omurice. The deco was vintage. The chair even had what look like animals. 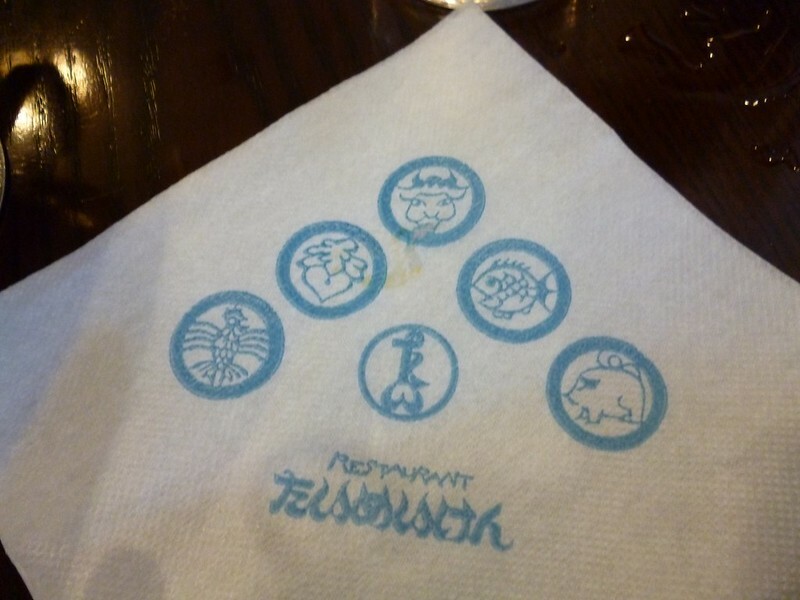 The pattern was repeated on the serviette. Soon my omurice came, along with a small serving of ketchup. The dish looked beautiful and I took a while to find the best angle to take a photo of it. Unfortunately, that extra 30 seconds caused my egg to overcook. Instead of a beautiful waterfall of egg flowing over my rice. Mine looked like a the face of Two Face, a character in Batman. I ate every grain of rice because it was expensive. But I didn’t feel satisfied. :( I think I will go for the normal omurice, or even the lunch sets next time. Take Exit C5 of Tokyo Metro’s Nihombashi station. Once out of the station, turn to the right and another right at the corner of the street. It’s just down the road.